A bond forged in Catholic school, an unspoken attraction that outlasts years of separation and other relationships. Ren and Cole never acted on that thing that always bubbled beneath the surface of their friendship, not until a chance encounter in a Santa Fe bar and a song that would tip the scales forced them to confront their feelings. Will the influence of a music superstar, a New York socialite and a mystical property manager finally bring them together, or will a history of missed opportunities, their own fears and an impending wedding keep them apart? 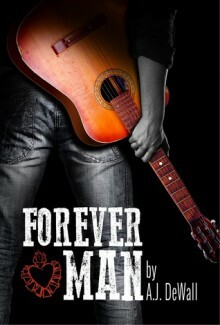 Can they just have one night, and then walk away?Forever Man is a story of the consequences of the choices we make, and how the courage to change can last a lifetime. Based on the fan fiction story, Someone Like You.